Uthingo Mndeni Services is a proudly black owned South African company, aiming at total value-added services and solutions, specializing in the crucial demand of piping, structural steelwork, civil and structural designing and construction. Our company is capable of fabricating and installing of piping and structural steel work across a broad spectrum of size and material in record time reducing the risk associated even in the most challenging of locations, if and when required. We are one of the best construction companies based in Vereeniging. We also do recruitment of personnel & labour force hire to suit clients needs. Uthingo Mndeni Services envisages prides itself not merely meeting, but exceeding customer expectations. We want to be a complete turnkey piping Engineering sector by including a distribution service to become a pivotal role player in this highly competitive and exacting market. The collaboration of these two units will ensure that Uthingo Mndeni Services not only delivers the intent of the contract, but that it provides a working solution for completing projects on time and within budget. This highly level service and product quality will ensure that Uthingo Mndeni Services initial business relationship evolves into long-term partnerships and secures the maintenance of customer plant in years to come. 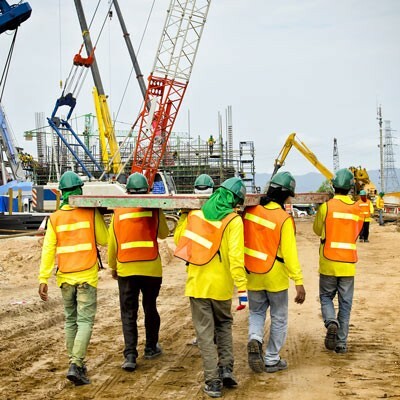 Then with also the new extensions like civil and structural design and construction as well as Erection and Installation departments under the supervision of qualified engineers will improve the service under one management which makes it easier for the contractor in the sense of not having a separate contractor for the different contracts. We also provide Electrical and Engineering Services. You won’t receive better service or quality anywhere else in the Vaal Triangle – Guaranteed! Our experience & service speaks for itself. Uthingo is a 50% black woman owned with CIDB ratings of 1GB and 1CE. Furthermore Uthingo is a level 1 B-BBEE contributor in terms of the Construction Sector Scorecard. With over 20 years of experience, a highly skilled management team as well as over 600 staff, Uthingo has established itself as one of the leading South African construction companies today, Uthingo strives for accountability, integrity and transparency. There are direct links between management and staff ensuring personal attention, quick decision making and a hands-on approach which sets us apart from our competitors. Uthingo Mndeni Services realizes that the strength of any company lies in the quality of its employees. We acknowledge and understand our country’s business history, thus we have a social responsibility to maximize improving peoples’ lives in their communities Uthingo Mndeni Services is proud of its personnel who are highly skilled which have been se to meet the stringent demands of it various projects and to carry out the work with absolute precision. 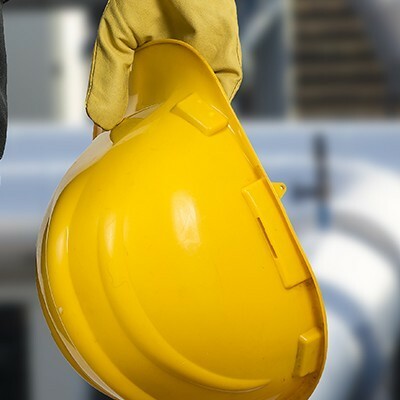 Uthingo Mndeni Services serves the Construction Industry with Detailing, Supply and Fabrication of Piping and Steel Work, as well as civil and structural Erection and construction. Uthingo Construction is a fully integrated and diversified construction entity offering the ability to execute traditional building and civils contracts as well as concession projects. Backed by our significant resources, Uthingo is well placed to effectively tackle projects of any size and complexity. Uthingo expertise ranges from industrial developments, office blocks to shopping centres, residential developments, parkade’s and schools. Our Great Track Record show our capability and the calibre of work that we have delivered in the past. Uthingo Construction’s our capacity to effectively execute civil engineering projects of unlimited value. Our track record in the construction of infrastructure, demonstrates our ability in the field of Civil Engineering. Uthingo Mndeni Services is a proudly black owned South African company, aiming at total value-added services and solutions, specializing in the crucial demand of piping, structural steelwork, civil and structural designing and construction. Our company is capable of fabricating and installing of piping and structural steel work across a broad spectrum of size and material in record time reducing the risk associated even in the most challenging of locations, if and when required.